The week from this July 4th weekend through the G20 Summit next weekend offers an opportunity for the globalists to accelerate towards the Vindex Falls scenario I outlined in Updates 5 and 7. What starts this coming week could provide the final pretext for Trump’s removal from the Presidency using the 25th Amendment. I’ll go into more detail when I attempt to return to blogging this Monday. If I make it back, I’ll also finish my thought on what’s in store for the UK political situation. Take note of the two points underlined in red. Are you beginning to see how all the preparatory propaganda parts fit together? 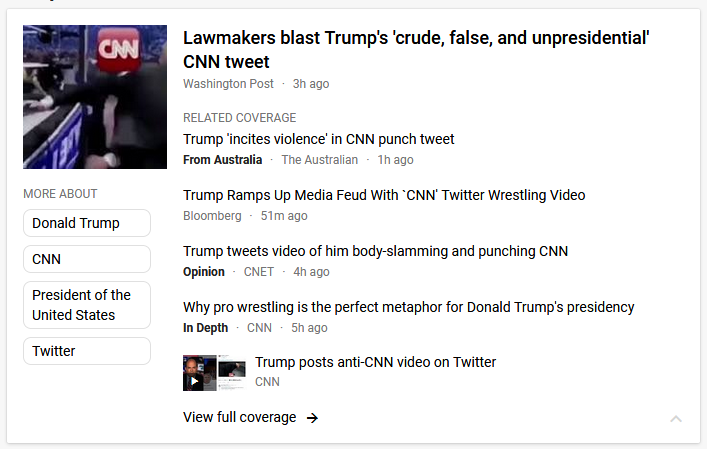 And as we observe all this unfold, let’s remember that there are three narratives running simultaneously: 1) the globalists’ mainstream narrative (intended for the sleepers), 2) the globalists’ controlled-opposition alt-media narrative (intended for the awakening public), and 3) the true narrative (which this blog aims to expose). According to the mainstream narrative, Trump will be replaced due to incompetence and hatred. The Democrats will do it because they hate Trump and want to stop him from undoing Obama’s legacy. The Republicans will do it because they want to rid themselves of an “embarrassment” and get a President they’d much prefer (Pence). 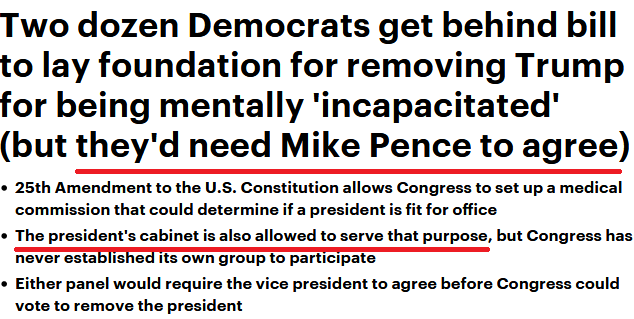 And Pence will go along because he’ll get to be the President. 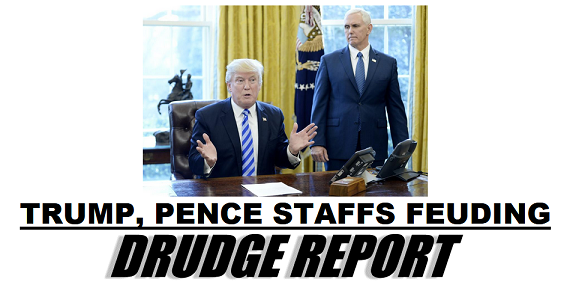 And according to the true narrative, Trump will be replaced because that’s what the globalists’ Vindex script calls for: Vindex strives and fails. The Empire takes the world to the brink of total destruction. The last holdout (Putin) saves the day. And Galba (Rand Paul) leads America to “freedom,” singing the praises of the fallen Vindex. Another G20 sidelines meeting to watch is the one between Trump and Putin. The globalist script undoubtedly calls for the “Neocon/Neolib Deep State” to seize upon any sign of cordiality or cooperation between the two leaders as an excuse to hammer home their “Russiagate” claims against Trump. Should they do so, the controlled-opposition alt-media will proclaim, “Now that Trump and Putin are finally meeting face-to-face, the Deep State wants to remove Trump before Putin can sway him back to a policy of rapprochement with Russia.” So if Trump and Putin announce a formal summit date after their G20 get-together, we can expect the coup to be staged before it occurs. Trump is knowingly playing right into the hands of the coup; he knows the role he must play. These updates were written back when they tried to pull all this earlier in the year, and the setup for this try is remarkably similar. The globalists aren’t the only ones who are trying to raise a phoenix from the ashes; I started my own Operation Phoenix back on June 15. When my grandmother started howling every time I moved her, I pretty much collapsed inside. I looked at my current life and the many dreadful decades to come and I hit rock-bottom. As often happens in such a case, I fell into distracting behaviors such as excessive daily wine consumption, indulgence in “impure thoughts,” and spending every spare moment vegging out in front of a video screen watching something, anything, to check out of my reality. But then, inspiration hit. I got the idea to do something that I’ll start next week. And having a positive goal to move towards has motivated me to discontinue the distracting behaviors and live above my baser instincts. Progress has come in a ‘two steps forward / one and a half steps back’ fashion of course, but solid headway has been made. One of the differences you’ll notice from all this is that my blog entries will be built in even smaller increments at all hours of the day and night according to my Always Be Blogging (ABB) initiative. I’m hoping ABB will allow me to build a momentum that can’t be stopped by anything that happens in my personal life or beyond. The globalists are moving so fast and on such a broad front that I must be able to stay in constant motion to counter them (for whatever my efforts to counter them are worth). More to come on Operation Phoenix next week. But while we’re on the subject, grandma is doing better now. The howling has stopped due to better pain medicine and natural healing. This entry was posted in Globalist Agenda Watch 2017 on July 1, 2017 by kenneth.